The trucks and crews have been streaming out of Grand Marais--and the evacuation line has moved back to the Cross River. With two wet days, it is amazing how the woods are continuing to green up. The Forest Service is beginning a plan to reopen the woods to visitors--as it becomes safe. As of May 20th, folks can return to the lakes around Trail Center. As of May 29th, the plan is to allow folks to return to the lakes in the upper trail area--Seagull, Saganaga, Cross Bay, Missing Link, Brant, etc. The delay will allow for the Forest Service rangers to get in and check out the portages and campsites--make sure all is safe for travel--and make sure any embers continue to behave themselves. The kids are looking forward to getting back to their regular lives. We sat around pondering the high and low points of this entire fire experience, and the kids agreed that it wasn't such a nightmare driving through the flames. The hardest part was the displacement from home. They're feeling grateful that they won't be displaced for months, like the kids in other disasters. Aren't we fortunate that we didn't really have one? We're looking forward to the raspberry and blueberry patches these next few years are sure to bring to our neighborhood! 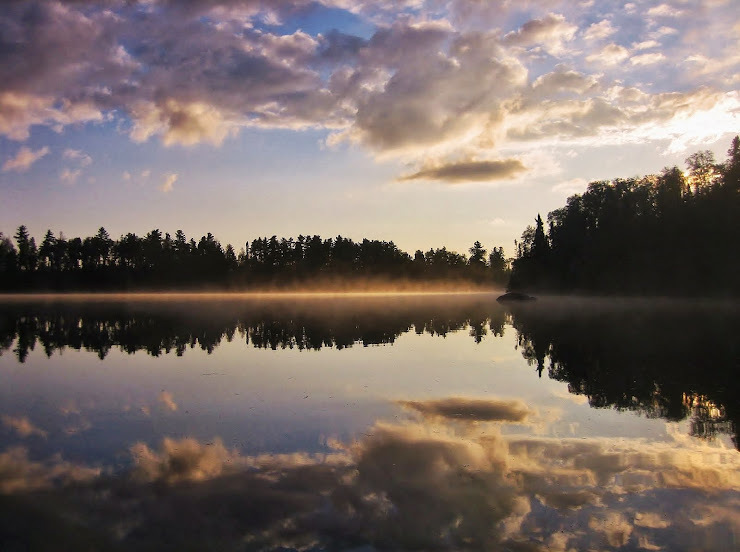 Sounds like things are looking much better for the BWCA. I admire your and the children's positive attitude doing all of this. God bless you in the days ahead.